The Turkish election Commission confirmed the victory of opposition candidate, imamoğlu in the mayoral election in Istanbul. The government party, the AKP, however, calls for a redial. Ekrem imamoğlu of the party CHP, the Turkish local elections in Istanbul and won. The has confirmed, the Turkish electoral Commission. 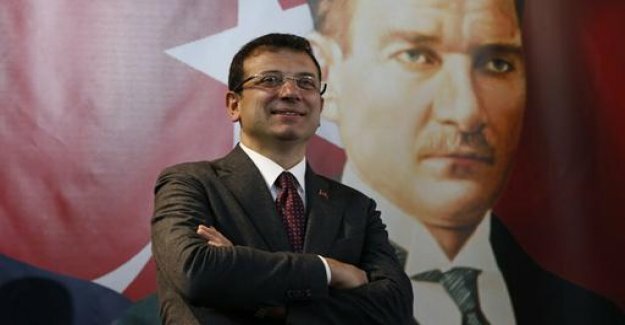 imamoğlu took, according to his party, his certificate of appointment in the Palace of justice and is therefore, until Further notice, the new mayor of the metropolis, however, has not yet made a decision about a possible repeat of the election. Ekrem imamoğlu of the CHP, accepted on Wednesday his certificate of appointment to the mayor of Istanbul. The Turkish ruling party the AKP had inserted a so-called "extraordinary appeal," which reaches out to Turkish law, if, during an election incidents, which could have influenced the outcome of the election. the election victory of The Opposition in Istanbul is a turning point: The metropolis was ruled for 25 years by Islamic-conservative mayors. For the Turkish President and AKP-chief Recep Tayyip Erdogan, who was once mayor of Istanbul, defeat is a loss of face.